We finally got these heifers branded yesterday with another round of shots, vaccinations, dewormer and multi-min, before they meet the Wagyu bulls in 45 days. As you may remember, we took their counterparts to town as bulls last spring when we weaned, unable to brand and vaccinate them because of last winter’s wet conditions. The girls were polite, familiar with processing since their first round of shots and vaccinations for Brucellosis at the end of June. Building a fire to heat the irons this time of year is problematic with fire danger still high. Our propane pot is an inefficient and noisy alternative we’d like to avoid if possible. Electric irons have been around for years, though I’ve never considered using one as electricity to our corrals is a recent convenience. And consistent with the ‘cowboy way’, my underlying prejudices against such citified methods of marking cattle, an electric iron has never been part of our operation—until yesterday. With the tangle of extension cords, etc., they will never replace hot irons in the branding pen, but they have their place. Furthermore, the brand goes on quicker and cleaner with consistent heat and quick recovery. All going to prove that old dogs can learn new tricks. 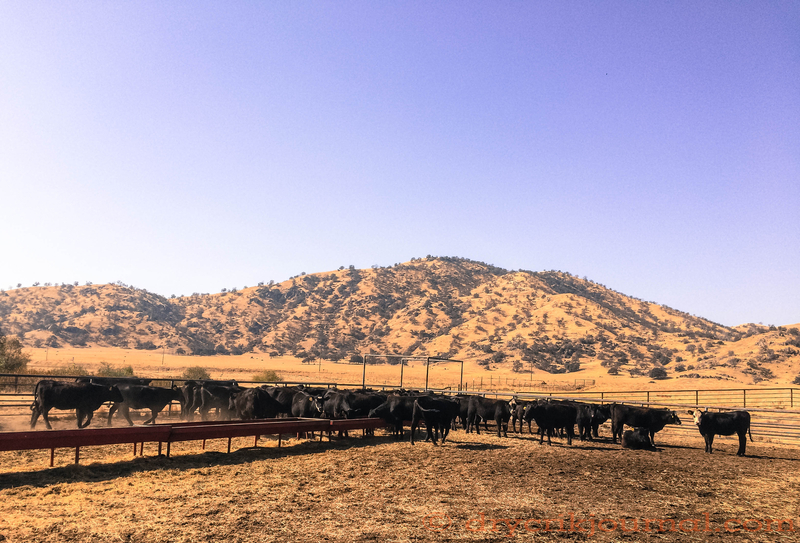 This entry was posted in Photographs, Ranch Journal and tagged branding, electric iron, Replacement Heifers, Wagyu. Bookmark the permalink. Sounds like fun…wish I was there.